You may not know his name, but you certainly know his company. 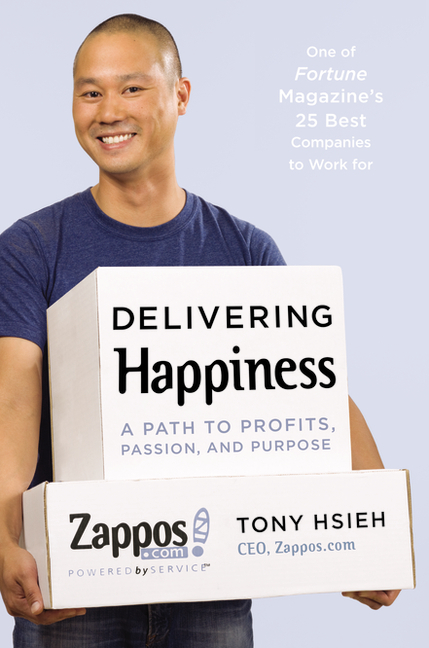 Many big businesses and top entrepreneurs place Zappos and its CEO Tony Hsieh, pronounced Shay, on the Mount Rushmore of “Best Service-Minded Companies in the Country” (arguably occupying a space next to The Container Store, Southwest Airlines, Chick-Fil-A, and Trader Joe’s). Aside from making every person feel extremely special, he is very passionate about building businesses. This is why he took on the “Downtown Project” in Las Vegas to become an entrepreneur incubator. The project was a $350 million attempt by Hsieh and others to transform 60 acres of Downtown Las Vegas into a growing tech city. Admirable. If only it had worked. According to re/code, Hsieh has officially stepped down from the tech entrepreneur experiment. “Since January 2012, Downtown Project has been working to help revitalize downtown Las Vegas through several hundred investments and initiatives. At this time, we are focused on streamlining our operations as we continue to execute on our plans. Doing so requires that we restructure our operations and focus on follow-on investments. We continue to evaluate all of our initiatives in terms of those that achieve the right balance of both ROI (return on investment) and ROC (return on collisions). “We remain focused on the long-term plan and the evolution of the downtown area. As such, we have restructured our support team. This change has affected approximately 30 positions, the majority of which were based in our corporate office. We continue to directly employ more than 300 people across our various operations in downtown Las Vegas. Amusingly, people always seem to become “positions” when the news is bad. No word yet as to whether any of those “affected” have lost faith in Hsieh or the hidden potential of downtown Las Vegas, but this is a developing story.